Tatjana Soli talks about her new novel, The Removes. It takes place during the so-called “Indian Wars” in the American West. Then, we air our interview from 2005 with Charles Mann about his acclaimed study of the Americas before Columbus, 1491. 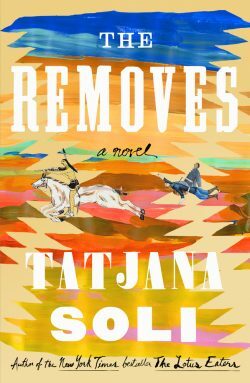 Tatjana Soli’s new novel The Removes takes a deep look into the complicated relationships between white settlers of the American West and the indigenous peoples they displaced. Those relationships were mediated by the so-called “Indian Wars”, where, after the Civil War, the U.S. government initiated the brutal push westward that dispossessed so many of the Native inhabitants of their territories. General George Custer was a Civil War hero when he was tasked with conquering the American West — an endeavor that resulted ultimately in his death at the Battle of the Little Bighorn. He is a key character in Soli’s novel The Removes, but the book focuses more on the story of two young women who find themselves experiencing life on two different sides in the Indian Wars. One is Custer’s wife, Libby, who breaks with convention to follow her husband to the field of action. The other is Anne, captured at age 15 by the Cheyenne Tribe. After enduring the brutal life of a captive, she becomes integrated into the tribe. When she is finally “rescued,” she finds she has no real place in either world, native or white, and must find her place within herself and the circle of those she loves. The Removes is a thrilling story powerfully told — one that poses questions that have no easy answers. Tatjana Soli is a novelist and short story writer. We spoke with her in 2010 about her bestselling debut novel, The Lotus Eaters. She’s also the author of The Forgetting Tree and The Last Good Paradise. Her stories have appeared in various venues and have been twice listed in the 100 Distinguished Stories in Best American Short Stories. This week marked Indigenous People’s Day, AKA Columbus Day. It’s a good time to contemplate what was lost to the world when Columbus set foot on the American continent. 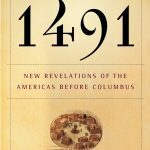 So we dug for gold in our archives and came up with our 2005 interview with Charles C. Mann about his book 1491: New Revelations of the Americas Before Columbus. We air an extended excerpt from that conversation. We talk with mystery novelist extraordinaire Tana French about her new book, The Wych Elm. It was given a rave review by Stephen King.